This review provides an explanation of the true nature of the Triera Group investment platform. Triera is supposed to by a Forex trading company. It allegedly trades Forex markets and makes profits that it is willing to share with you. 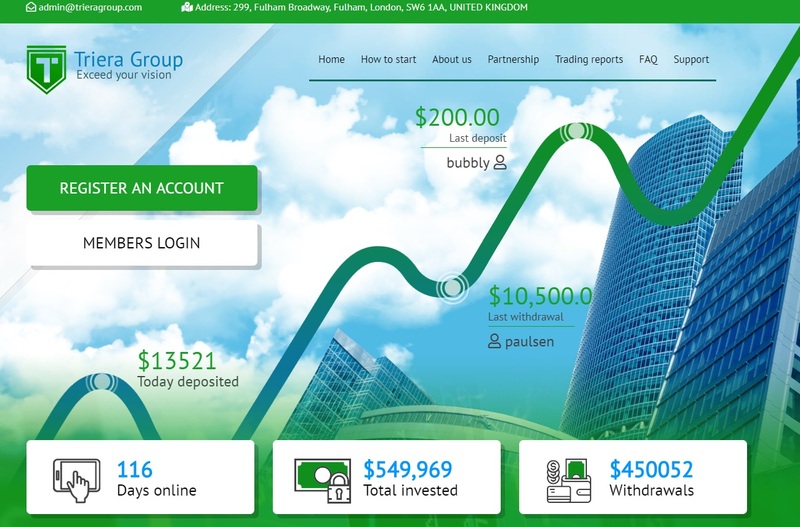 All you have to do is to deposit money and get up to 120% daily returns. 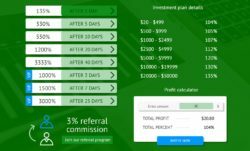 Can you really get 3,600% per month with this program? It should be basic knowledge that 120% daily or even 35% daily are numbers that have nothing to do with economic reality and possibilities. No normal business can achieve such returns. The fact is that only scams can display this kind of numbers. Scams like Triera Group often work as Ponzi schemes. It means that they will collect money and use some of these deposits to pay out the first profits. This way they attract more money into the system. But because no real values are created, they quickly run out of money anyway and collapse. You should also know that Triera Group is acting illegally, since it is offering investment services in the UK without being authorized to do so. As you can see, it has a company tax registration, but is not registered with the Financial Conduct Authority, which is mandatory for this kind of company. 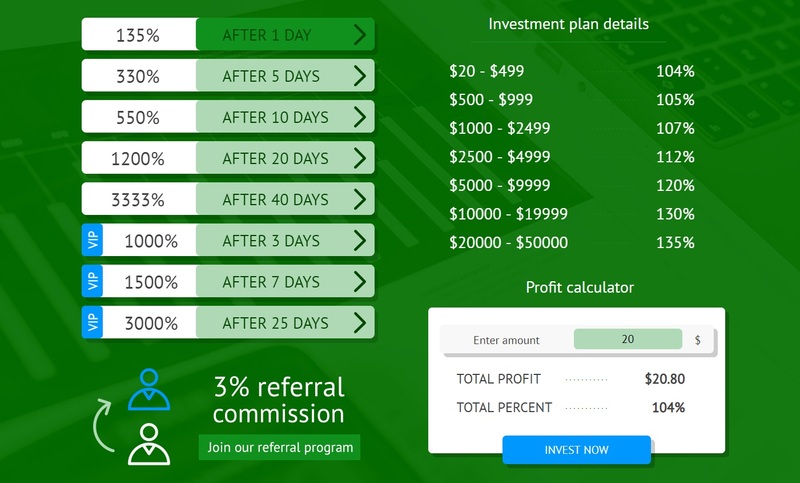 Triera Group is a scam that you’d better stay away from, if you don’t want to lose money. If you want to try to make money in trading, start on a free demo account with a regulated broker. Practice with virtual money until you manage to build a profitable strategy.